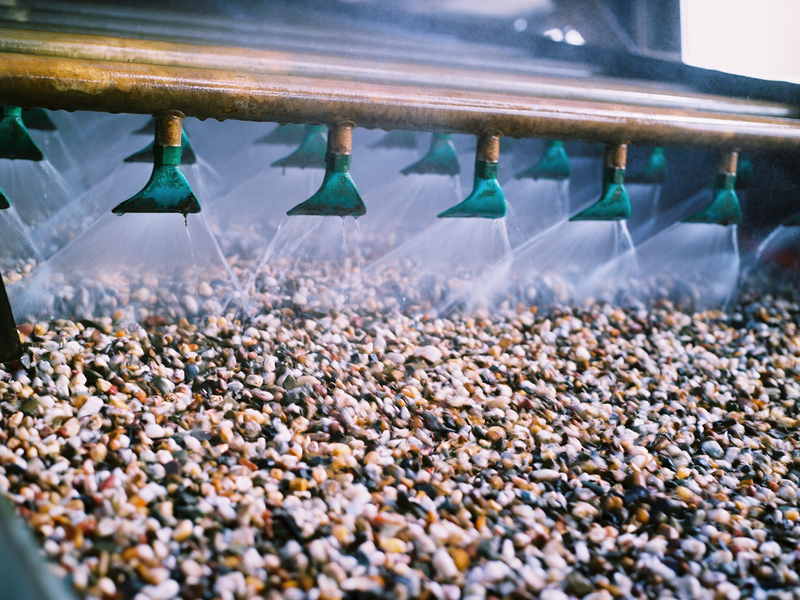 There is a comprehensive range of accessories available for all SIEBTECHNIK screening machines. 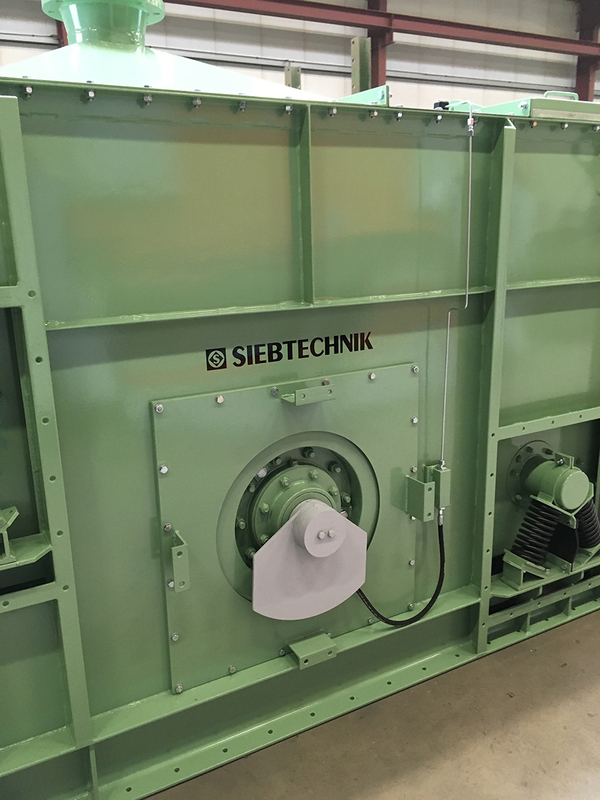 Whether it’s spraying system, wear protection, drive consoles, air suspension, counter-vibration frame, dust guard, dust covers, double unbalance gear units, hybrid suspension or special screen cloths – thanks to its decades of experience SIEBTECHNIK gets you the best result for your requirement. 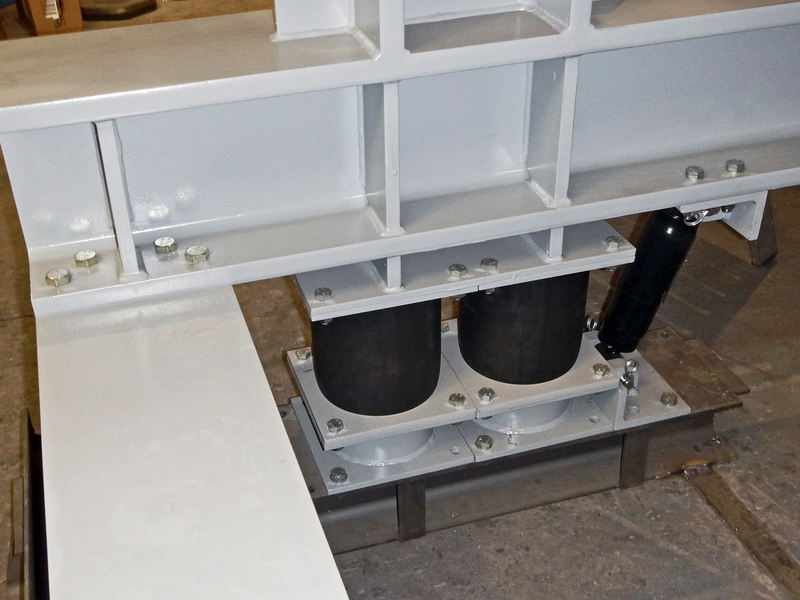 Motor and drive consoles are manufactured from profile steel and are constructed with a base plate for fastening to a platform or support structure. 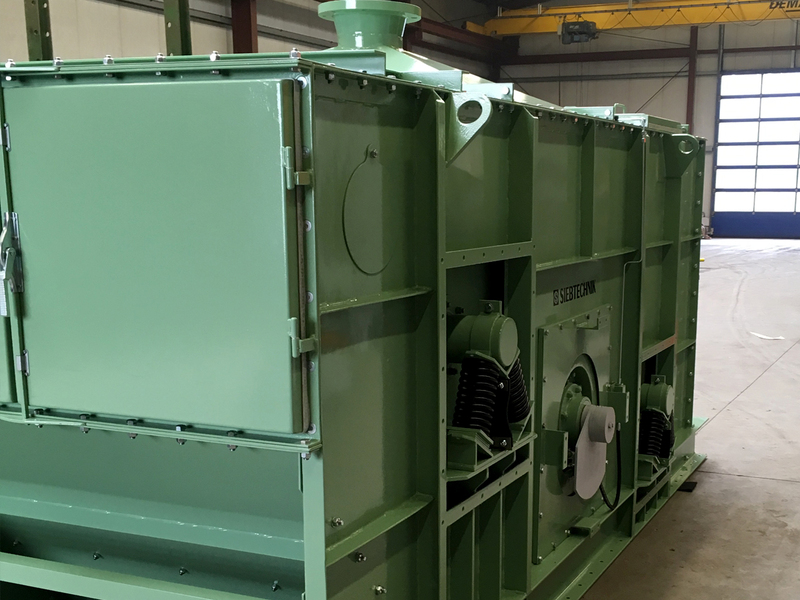 Through the addition of a three-phase motor, intermediate transmission, V-belt drive and safety covers they form a compact unit that conforms to safety-related requirements. 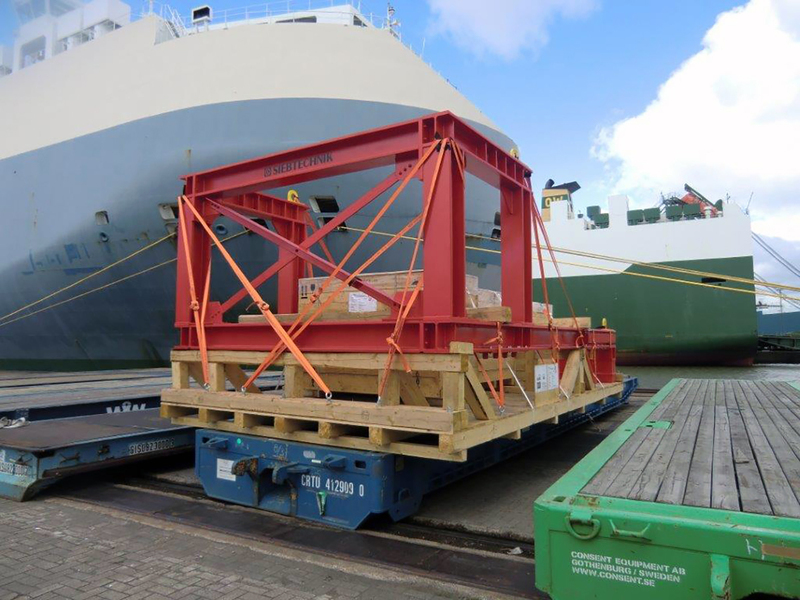 With support structure and consisting of collecting pipe, distributor pipes for each deck and a shut-off valve and fan nozzles in offset arrangement to each and the necessary spray-water seals. 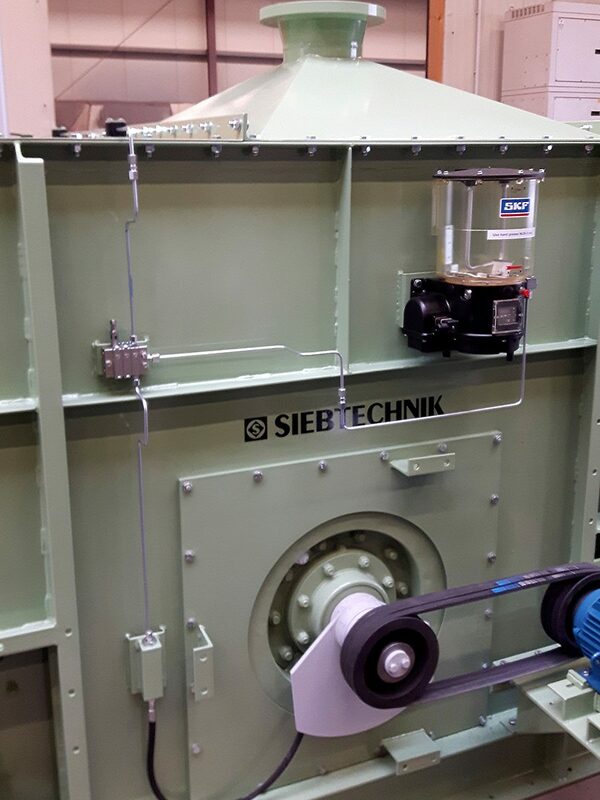 A SIEBTECHNIK double unbalance gear unit delivers the working torque necessary for the desired vibration amplitude of the screening machine. The gear unit is adjustable in stages by changing the number and form of the unbalance weights and can be driven within a speed range agreed with us. 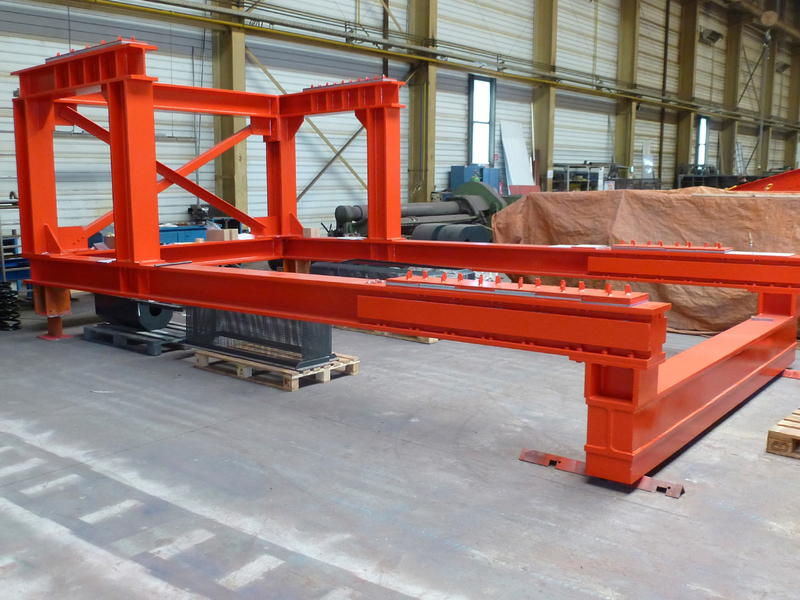 A well-known alternative to the optimised vibration isolation is counter-vibration frames. 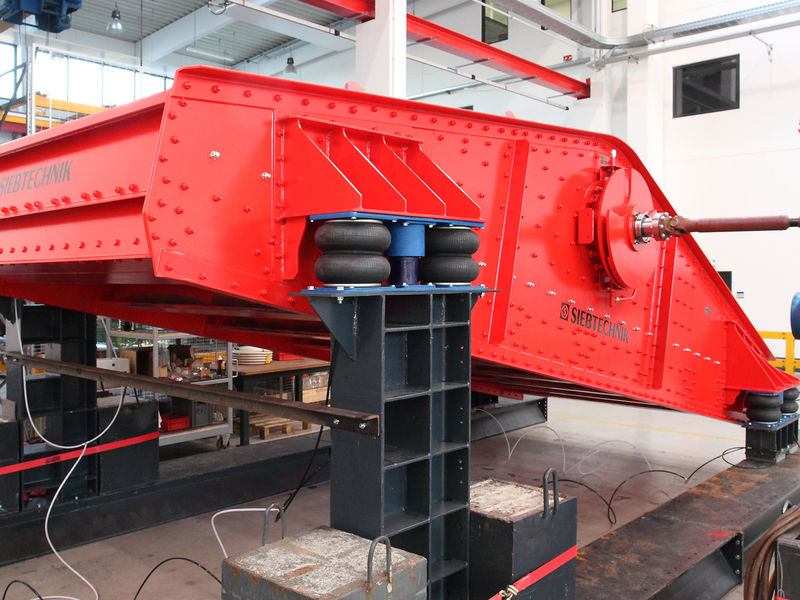 With this system, too, extensive vibration isolation can be achieved. We offer this variant, which is manufactured from sheet and profile steel, likewise as an alternative to air suspension. 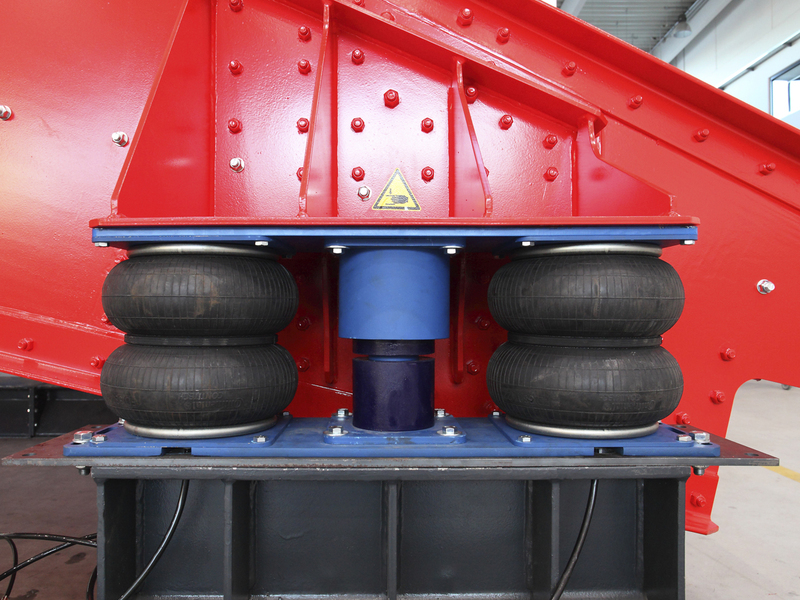 It is designed to hold the screening machine and is supported on rubber springs and shock absorbers. 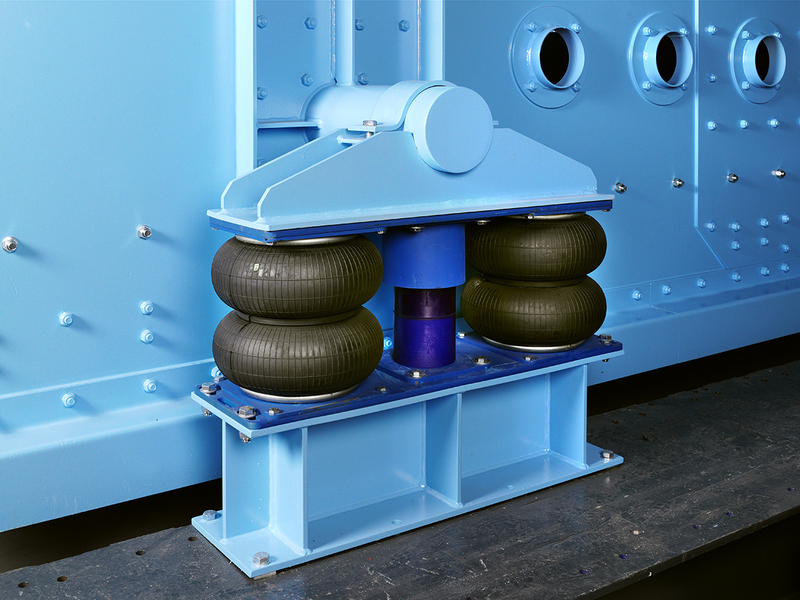 Hybrid suspension, consisting of spiral compression springs and rubber buffers, offers good vibration isolation, including a means of protection against the springs “going solid”. SIEBTECHNIK offers, as an option in place of the usual vibration isolation by spiral compression springs, air suspension. This consists of air bellows, including base and adapter plates. 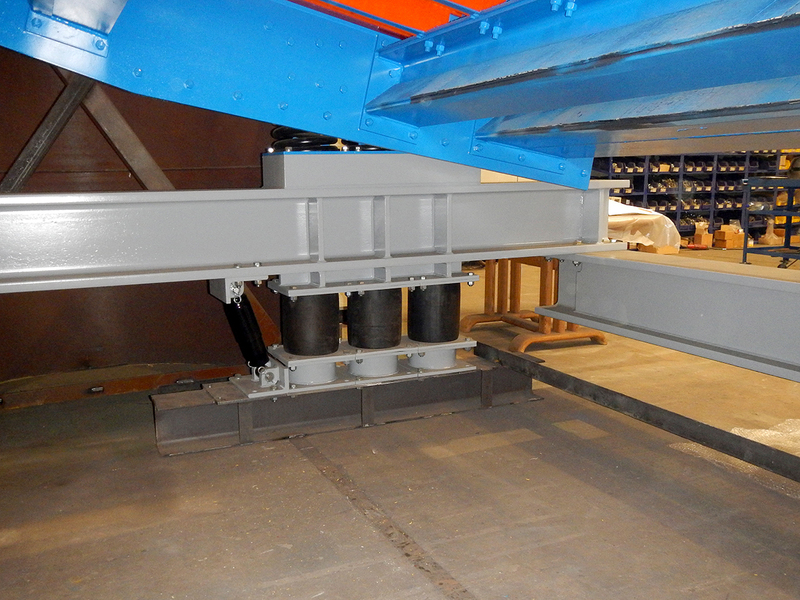 Passive buffers provide secure support during maintenance or for when the machine is stationary for longer periods. Regulating systems and a compressor are supplied in an aluminium safety box for individual parameter setting and monitoring. A hose kit ensures the necessary supply of air to the air bellows at the suspension points. Stepped slotted grid in segmental design with conical gap width for coarse separating cuts and robust applications. The stepped slotted grid is manufactured mostly from S235JRG2, but the upper flanges exposed to the material are manufactured from HARDOX or a similar material. 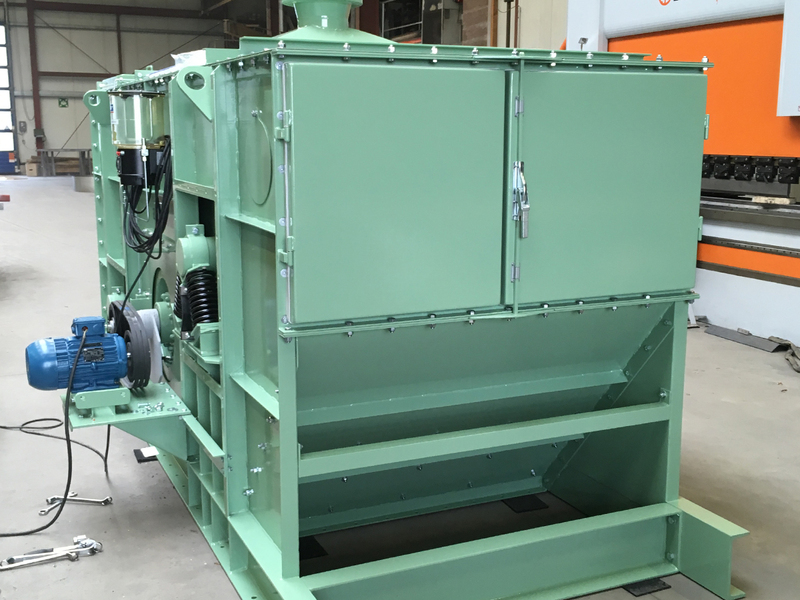 The dust cover is fitted only above the screening machine. It consists of roof-shaped segments from which usually rubber curtains extend into the screen box. 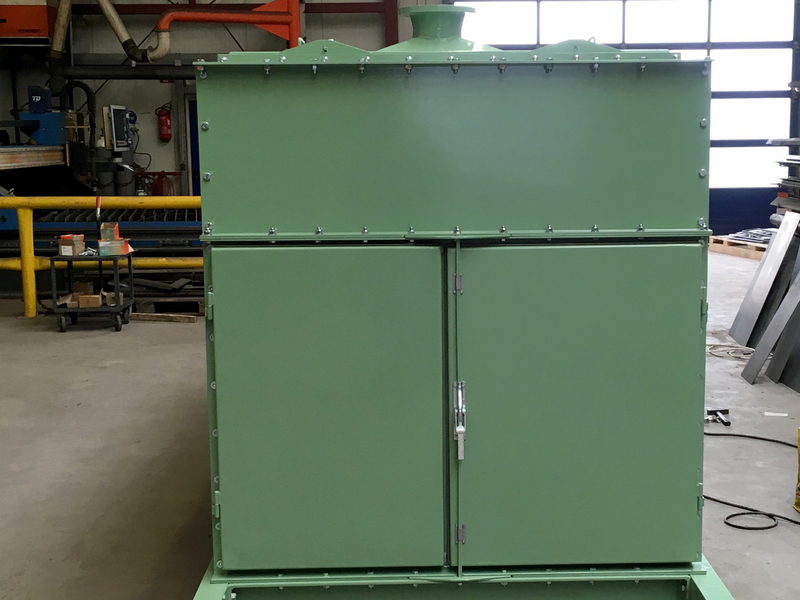 This kind of dust seal is of a simpler construction than the dust guard but – especially in combination with a dedusting system – likewise offers considerable reduction in the amount of dust escaping from the screening machine. By “dust guard” we mean an enclosure for the whole of the screening machine. The aim is to prevent as much dust from escaping as possible. 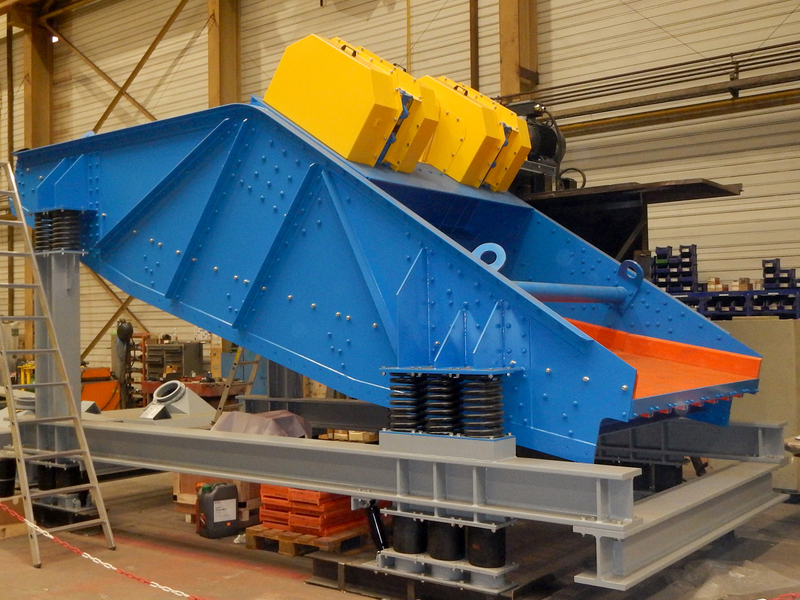 Either the screening machine is supported on a frame that also carries the dust guard made from steel segments or the dust guard is so robustly constructed at the suspension points that it carries the screening machine. 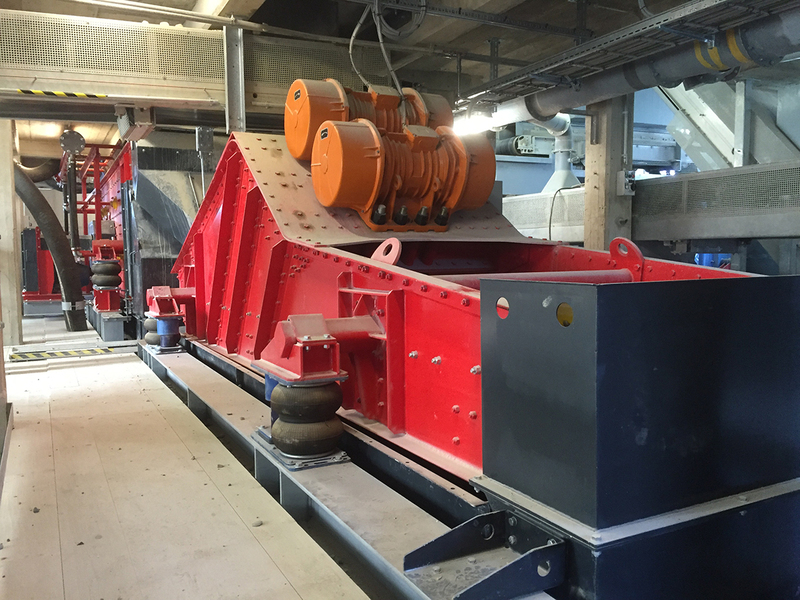 Access to the screening machine is through doors on the feed and discharge sides. 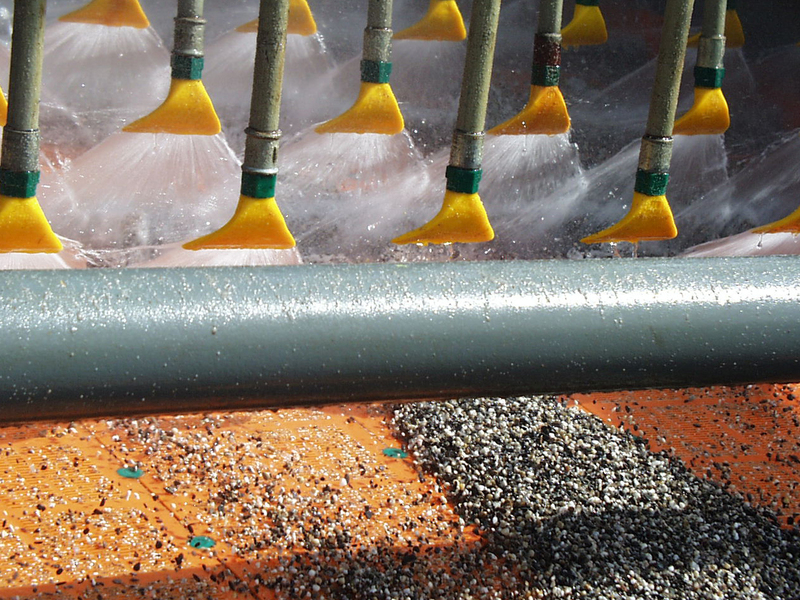 The vibrating underflow collecting funnel, which does not vibrate with the machine, can be bolted to the base frame of the dust guard and so also offers excellent protection against escaping dust. All cross-members are part-lagged with rubber, the surfaces that come into contact with the screened material being protected e.g. with 4 mm- or 8 mm-thick wear-resistant rubber. Increased wear protection is optionally obtained if the hollows in the cross-members are filled with foam and protected with 4 mm wear-resistant rubber to prevent material from collecting on them. The back walls are often protected with 8 mm-thick wear-resistant rubber. Likewise available are alternatives made from wear-resistant steel, ceramics or polyurethane.